This past weekend, Little Miss I finally got what she had been asking for a long time: A new pet! 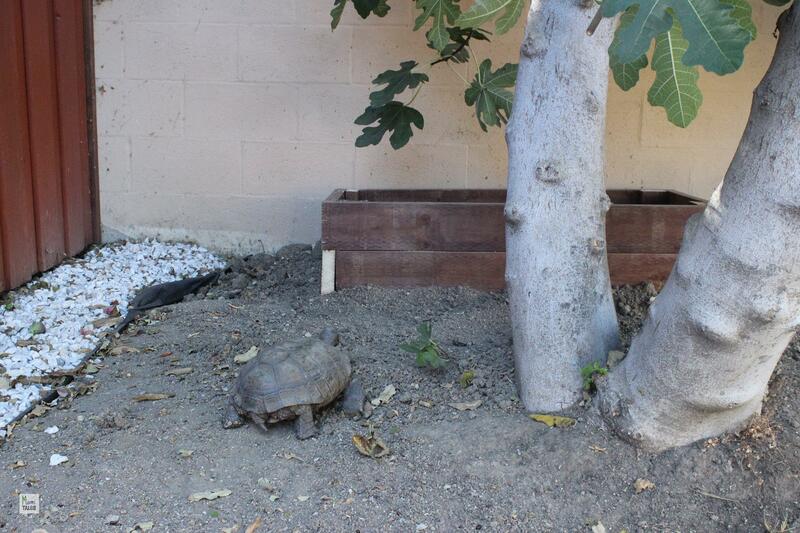 However, this new pet is really not so new… he’s a desert tortoise that used to belong to our Uncle Gino. 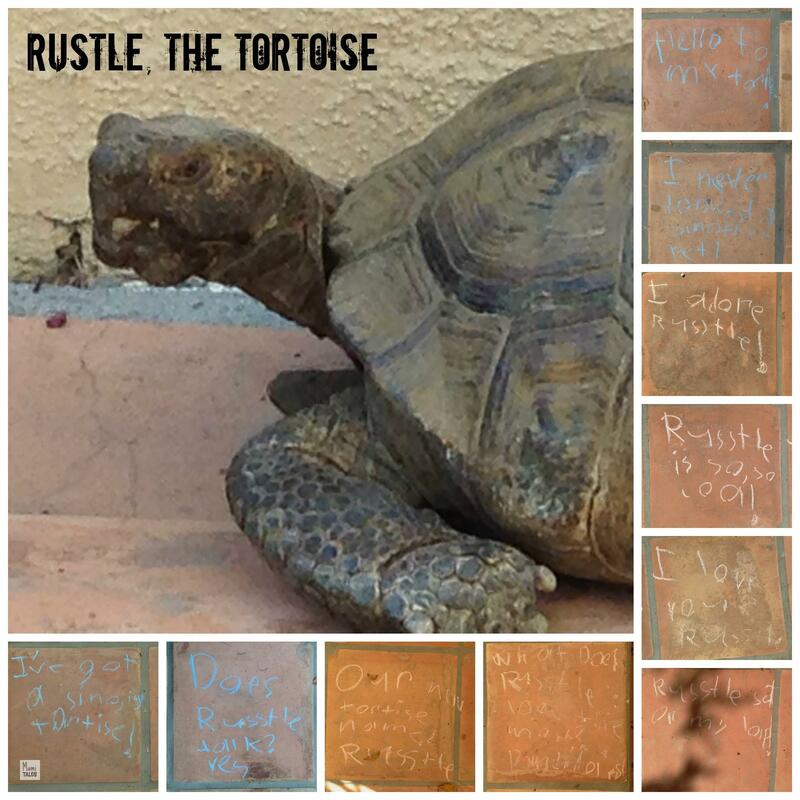 Last year, after his passing, the family had to decide what to do with his two pet tortoises… a female, about 50 years old, and a male, around 25. After a year, and some learning, signing in for the tortoise society, registering him, etc, this past Saturday the 25 year-old male made the transition into our house. My husband made a “house” for him, and off the tortoise went wandering about our yard, and getting to know the expanse and limits of his new home. So now, like an old Italian “man,” he has a little enclosure by the fig tree. 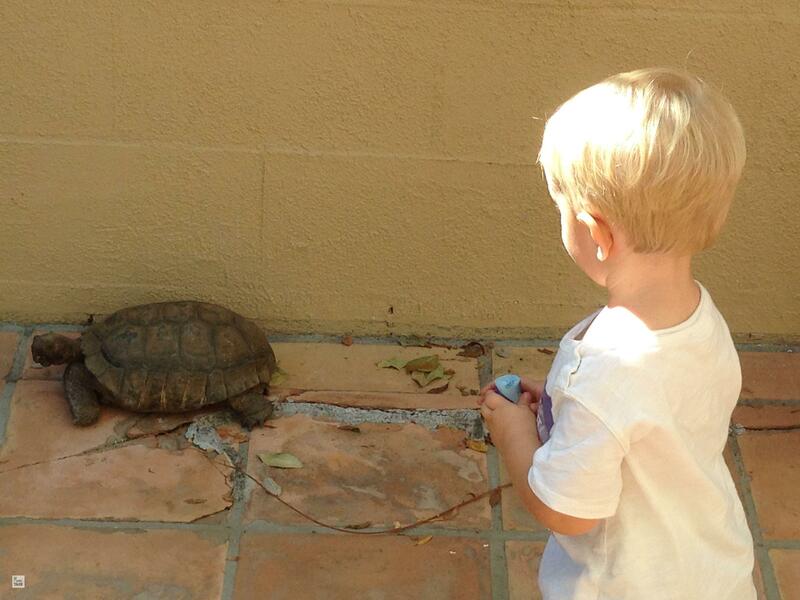 Tiny A was also walking around following the tortoise, clearly curious about him — but not too close. He didn’t try to pet him, but were mesmerized by his size and movements. I have a singing tortoise! I never looked at another pet! Russtle is so, so cool! Would you say a little girl is extremely excited to have a pet at last? Tagged Family, Inspiration for Kids. That’s so sad!! They are really cool animals. It’s like having a dinosaur in the backyard! I love that your lil’ one wrote notes to her new pet friend! SO cute! Thanks, Anna! It’s been heartwarming to see Little Miss I’s reaction to our newest member! The problem now is that she wants more!